Aquatic plants are known to protect coastlines and riverbeds from erosion by damping waves and fluid flow. 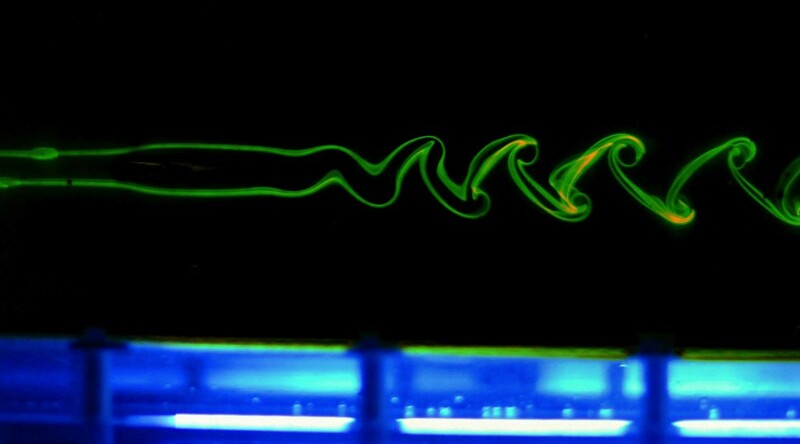 These flexible structures absorb the fluid-borne energy of an incoming fluid by deforming mechanically. 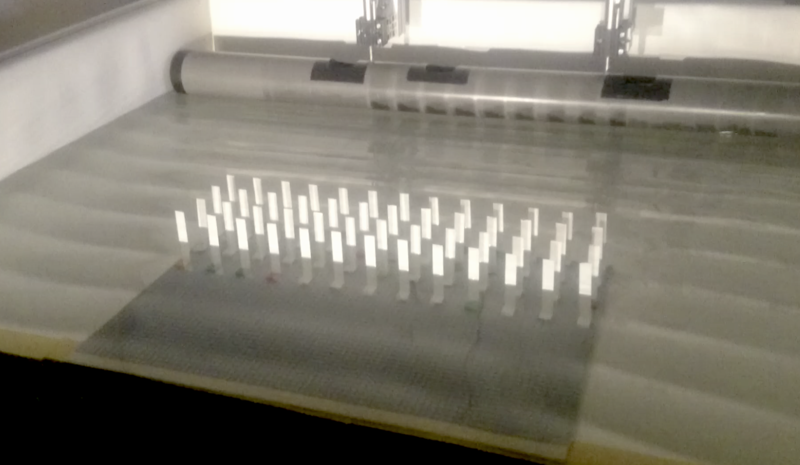 In this paper we focus on the mechanisms involved in these fluid-elasticity interactions, as an efficient energy harvesting system, using an experimental canopy model in a wave tank.We study an array of partially-submerged flexible structures that are subjected to the action of a surface wave field, investigating in particular the role of spacing between the elements of the array on the ability of our system to absorb energy from the flow. The energy absorption potential of the canopy model is examined using global wave height measurements for the wave field and local measurements of the elastic energy based on the kinematics of each element of the canopy. We study different canopy arrays and show in particular that flexibility improves wave damping by around 40%, for which half is potentially harvestable.